It’s our last day in north central NSW, a land of wide open plains, and in the old days, as the poet Dorothea Mackellar had it, “of droughts and flooding rains”. We’ve seen precious little sign of the flooding rains. Irrigators own 75% of the water, and the rivers are now channels to move water around to the imperatives of the market. The modestly good news is that under the new Basin Plan, 25% of flow must be allocated to environmental uses. I’m here in a project organised by the Murray Darling Basin Authority to trial a process for indigenous assessment of the health of river places that will put in front of water planners the priorities of Aboriginal communities. I’m facilitating the action research, and I’m driving the bus. I work my way carefully along the dirt track to the junction of two rivers, the first of two sites we’ll visit this morning. We’re close to the main town, at a place where local people have gathered and lived for a long time, and to which they return for picnics and swimming and fishing. We spill out of the bus and the 4WD, stretching legs and lighting up, and settle into the comfortable twos and threes that have taken shape over the week. Conversations begin. As usual, I bring my sense of being out of place culturally. But I’ve come to know these people a bit, and they me. I feel more at ease and more present in the relationships, listening and joining in without forcing things. There is a gentleness at work between us, and I notice that stories about the place are coming more easily. I wonder why. 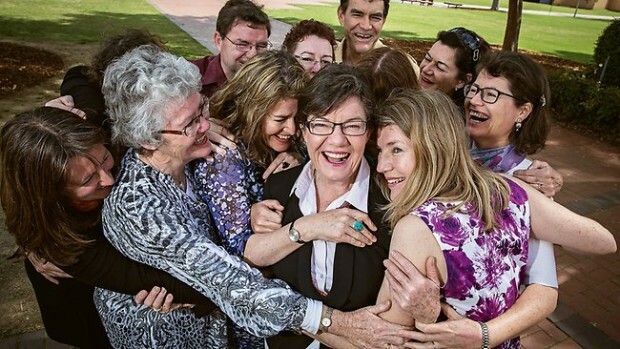 We’ve gathered each morning, packed the vehicles, debated again where we’ll go first, and then there’s been the driving, yarning, standing together looking at a changed river, with all the sadness this brings, but a river nonetheless on Country, with its history, memories and obligations. We’ve gained a sense of each as a particular person, with a particular relationship to Country. I’ve worried that our carefully designed form, with its many questions, is using indigenous knowledge as feedstock for another exercise in meeting the terms set by the centre. I’ve seen it in mainstream agricultural communities—the decision criteria set by management leach all the nuance out of people’s living knowledge of a landscape, leaving a skeleton of “facts”. But we’ve been together, on Country, and the intimacy that’s developed between us seems to form a safe space where memory can surface stories of the place – stories of big floods, of swimming here as a kid, of what my mother told me about the old days, stories of how good the fishing used to be. In these stories is the knowledge for making authoritative cultural assessment. Knowledge is held in story, and but stories aren’t shared with just anyone. Our process has been tuned to this, seeking people’s free, prior and informed consent at each step in the project. We built on relationships developed over years between MDBA staff and Aboriginal people. We developed the project in collaboration with the indigenous nations organisations in the Basin. We visited communities to invite them into the project well before we showed up to run the assessment week. If I was writing a report, I might talk about the importance of trust, but if I speak from my own experience of the work, it feels like intimacy. I could call it trust, but the word “intimacy” has more feeling in it, more blood and more risk. The intimacy seems to hold as much for relationships between members of the Assessment Team as it does with us white fellas. The team are from different families, young people and older people, people who have always lived here and those who moved here through marriage or work. A week of assessing places on the rivers have brought us all closer together. In natural resource management, it’s often said that we need to integrate local and scientific knowledge. In the intimacy of this group of people feeling out a river and assessing it, what I find is an openness to differing ways of knowing, and to what those differences might bring to our shared knowing, if we are gently present to each other. I had the opportunity to sit in with a peer inquiry group set up by Dr Lisa Adams, the National Rabbit Facilitator, with people working in northern Victoria. Membership was Landcare staff, CMA engagement staff, and one Landcare community member with a leadership role in her community. Amidst the incredibly demanding situations discussed, the group touched on the renewed desire of government agencies to engage with communities, and the way that might not be easy for bureaucracies to undertake.The Consultation Paper for the new National Landcare Programme, which follows through on Minister Hunt’s promise to “put Landcare back at the centre of the Government’s land management programme”, asked some searching questions about the mechanisms that will actually do this (see VLC Policy Briefing #18, with links to the full VLC submission and the Consultation Paper). As these practitioners talked, what came to mind was Ruth Eversole’s sensitive probing of the “deep tension between the traditional hierarchical ways of organising that characterise government bureaucracies, and the mandate to create more networked, horizontal interactions with diverse groups outside of government.” Government programs like to organise community action the way governments organise things. Their staff are often blind to the way communities go about organising their own action, and blind to their own assumption government programs’ ways of organising are the only worthwhile way to drive change. This blindness will affect the possibility of transforming NRM governance. It is practitioners like this, working each day on the faultline between community and government, who will either make some headway with this transformation, or get caught in an awful grinding of gears. Probably a bit of both. They’ll certainly need to take time to talk within their peers, in collaborative inquiry. The Australian Government has stumped up $5m for small grants to community groups, in celebration of this being the 25th year of Commonwealth involvement in Landcare, and to avoid being seriously embarrased by rebadging their NRM program the “National Landcare Program” but leaving no money of Landcare groups! Now I have some sense of how Aboriginal people might have felt about the appropriation in the term “Caring For Our Country”, the last national NRM program. Bigger news has been the requirement that 20% of AG funds to regional NRM bodies be allocated to Landcare projects. This is a major opportunity for Landcare to get a place at the table and for regions and Landcare to develop collaborative decision making. In the VLC submission to the current Senate inquiry into the National Landcare Program, I made the point that change will come through Landcare participation in design of programs of action that influence practices in communities. 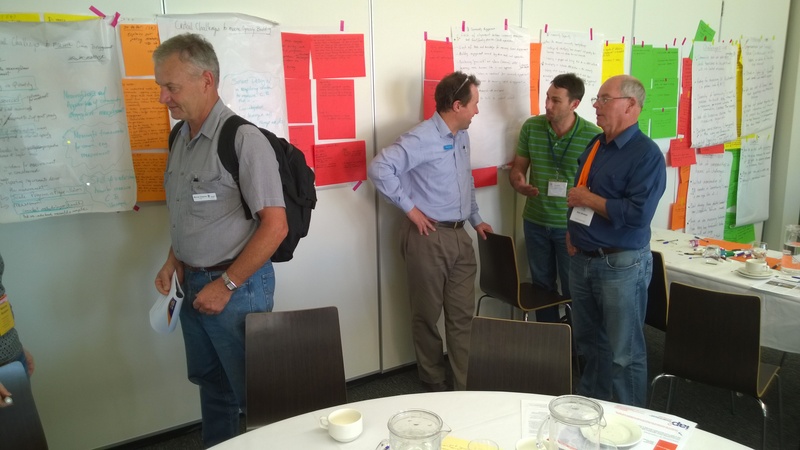 Landcare members have deep holdings of social knowledge on which draw on – community segments, history, networks, influentials, and past NRM successes and failures, the memories of which linger long after the government staff have moved on. See VLC Submission to Senate Inquiry 080814 for more on this. And there seems some prospect of discipline around design and evaluation of the NLP, with an intelligent set of questions in the Consultation Paper for the NLP. Devolution of responsiblity for decisions and action. The next level up has to loosen up, listen up and let go, come down off its high horse and show some respect and interest in the intelligence, knowledge and skill that the next level down brings to the NRM enterprise. Lighten up the systems for proposing and reporting projects. Get out of the way. Give the support people need to build their competence. Learning from diversity. NRM situations are complex and contested. There are many possible points of leverage, and many interests, each seeking outcomes important to them. If the answers were easy, we would have had them implemented 20 years ago. Answers will be forged in the vigorous discussion and the determined action initiated by the diversity of people with a stake in any situation. Challenging old habits. Improvement in NRM is blocked by old habits of decision making and old assumptions about who has power and who has authority. The deathlock that scientific management has on NRM will only be broken when it is challenged. Enough talk of partnership, engagement and collaboration: let’s have bold experiments, with close assessments of what is improving decision making, and what’s getting in the way. For how I turned this into specific recommendations on NLP mechanisms, see the VLC submission to the NLP Consultation. Kudos to Kate Auty, Commissoner for Environmental Sustainabilty, who travelled the State in conversation with community. She proposed a conversation about sustainability, and listened her way around the State. Returning, she observed (and I paraphrase): There’s a vibrant, informed and intelligent inventivenss at work in communities of place, that government just doesn’t get. This terrible failure is one consequence of the methodological assumptions bought to policy development. In holding a public discourse over 5 years, and sticking to her mandate, in less than favourable winds, Kate is for me an exemplar of public service. She made a place where the worlds of policy, science and people could speak, a place where the discourse was up for grabs and held open to other ways of speaking, and other ways of being. I recently missed out on getting a Corangamite Catchment Management Authority (CCMA) contract to develop a Community Engagement Strategy. Gareth Smith, the CEO, rang me Friday afternoon to give me the news. It was good to hear I was in the mix, but deeply disappointing nonetheless to miss the job. It took me a while to get over my disappointment, but when I did, I could see why Engagement Plus got the job and not me. They do one thing, and that’s engagement. Then I started asking myself what it is I do have to offer at this point in a long and diverse career. Research and design for innovation in governance is what I got to, and the business of making engagement work has deep opportunities for innovation. In this post, I consider one aspect of the Corangamite CMA’s situation in relation to engagement – the place of community profiles. Through 2013, the CCMA have had a consulting firm, RMCG, profile their community segments; the Community Engagement Strategy will move that through to commitments to specific engagement. I was around in 2003 when the first of such profiles was done for the CCMA, and I know that the profiling study was not well-integrated into the consciousness or decision making of staff at the time. Then in 2005-06, I myself differentiated and interviesed community segments in Corangamite (in a project with regrettably little internal support at the CMA of the time – see Indicators and measures for social capacity in NRM). As a result, I have a standing question of how such profiles of stakeholders/types of landholder/community segments can be brought into a dynamic relationship with the work of engagement that goes on day-by-day in a program team. In my bid to the CCMA, I’d suggested some ways to do this. Strategic plans are only as good as the smarts of the teams enacting them, so getting staff wired into development of a strategy is essential. Once you have defined path, things change as soon as you take your next step. Action brings all sorts of new information about the people in the community with whom you are working. The situation itself changes. As this happens, the coarse generalisations of a profiling study, and of the strategy itself, are drawn into a more nuanced understanding of what people think, what they do, and what enables and constrains the trajectories of change you want to encourage. How can that new experience be brought back into a profile? How do that be done across say, 20 staff, each of whom has their own program-defined brief, each of whom will encounter members of those segments each day as they work? How each staff member’s separate experience of stakeholders be brought back to a conversation between staff. Are there examples, I wonder, of organisations which have trained their staff to ask salient questions of people/customers as they work with them, and bring this back into some holding and shared understanding of the organisation’s stakeholders, something that refreshes the profile? To begin with, staff would need to have some focus questions around which to draw in the impressions and expression they encounter while interacting with communities and agencies. Reading Kate Legge’s Yes She Can in this morning’s Weekend Australian Magazine, I was impressed with the power of the kitchen table conversations that underpinned the community inquiry that began the change in the seat of Indi in NE Victoria, and that led to Cathy McGowan’s nomination and election. People were invited to speak to three themes: living in Indi; issues that matter; political representation. They did that locally, in their own homes and meeting places. Could we invent a focused inquiry in NRM into the matters that most concern people? I can imagine the conversations, and the questions that would open these up, but the stumbling block I see is maintaining the focus of staff on the landholders they are working with, as distinct from the managers they are working for, at several levels (regional, State, national) above the grassroots. Productivist culture, that awful and mindless obsession with reportable outputs, erases attention to what the end user thinks, does, wants, can contribute, is creatively involved in. Reading Legge’s article on what has happened in NE Victoria, I think the only way knowledge about the community can stay fresh is to shift the whole notion of a profile on its axis, and turn it, as they have in Indi, into a conversation that the community itself owns. No profiles tucked away on agency hard drives: we need a web-based record of what people think on matters of consequence. 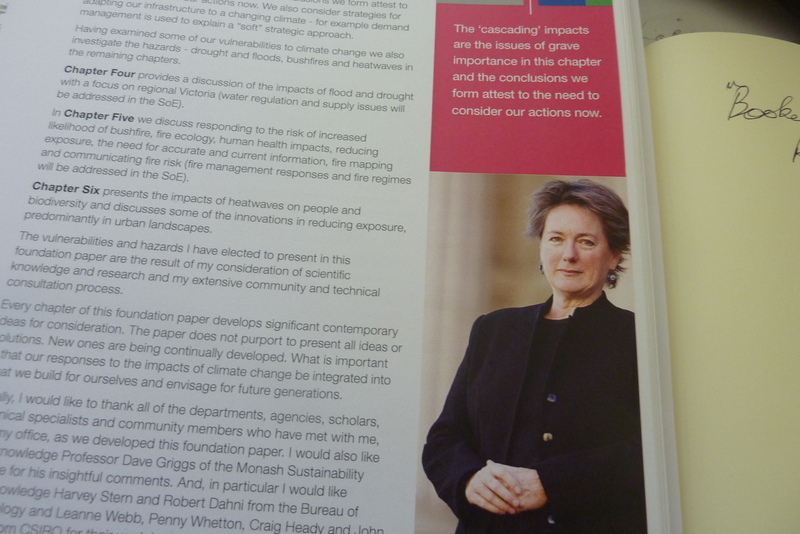 Mary Crooks, of The Victorian Women’s Trust, was noted as one of the people who designed the kitchen table conversations behind the Indi shift. Cambell Klose contributed to the digital facilities that supported that groundswell in NE Victoria. I’d be interested in what their experience might bring the NRM field. How might their designs inform the work of a Catchment Management Authority, charged as these authorities are with facilitating action across public and private stakeholders, in pursuit of sustainable landscapes? How might these designs be adapted by the landcare movement, where there is local action, but little linkage across the local? Starting points for innovation in governance are invariably conversations between people who care about our collective life. 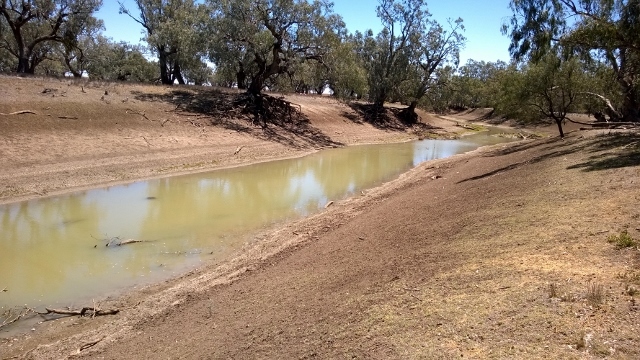 Landscape scale projects are a high priority for funders in natural resource management (NRM), and a big opportunity for the federations of local Landcare groups known as Landcare Networks. Since around 1995, local groups with a sense of affiliation based on geography, agricultural systems and social community have been organising themselves into Landcare Networks. Here, they go beyond their local affiliation and think and operate in terms of the large landcape. Starting small is the only way you can start. The presenters were from strong, established Networks. When you’re just starting out to build a Network, it’s easy to feel over-awed by established Networks. But every Network starts small, and builds up the commitment of landholders and partners organisations slowly, by doing what Landcare is good at – showing through action what can be done. Success brings partners on board. When you’ve got something going at community level, agencies want to back you. You’ll have to put your work in front of them, but don’t assume they won’t be interested. Local government, CMAs and agencies like DEPI are on the look out for projects that have community support. If your project can help them get their job done, and make them look good, then they are interested. Landcare has vital connections at local level. Landcare has credibility with landholders and good social networks. That credibility multiplies when a Landcare Network links local groups. Landcare staff and management know their communities. When setting up a project, they know who is onside already, who might be interested and who is not interested at all. That’s social knowledge. Put this knowledge to the foreground when negotiating with funders that want results on the ground but don’t have those networks. Get your planning tight. Government agencies are all about planning, and corporate sponsors want to support people who know what they are doing. Develop your own planning processes so you can give a clear argument for your priorities and show how plans can be translated into action on the ground. 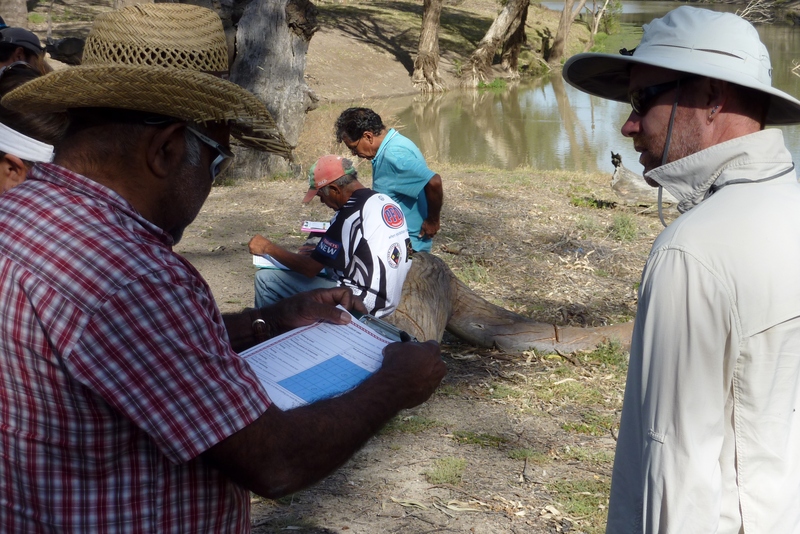 Landcare has always been good at action on the ground, but you need systems for planning. Get close to your partners and potential funders. They like personal attention as much as you. They expect ask for your plans and funding bids, but make it personal and talk to them. Once you’ve got a project going, keep talking to them. Diversify your funding sources. Don’t wait for a miracle. Open up relationships with different agencies and sponsors. Be prepared to put the time in getting to know them and them getting to know you. Don’t expect immediate results. Stay close to your community members. The community is your foundation. If you haven’t got them there with you, sooner or later, projects will fall over. Your members have to understand your goals and believe in them as much as you do. If that means pulling back a bit on some of your wilder ideas, then pull back. Talk more at local level. Wait till the time is right. Work with the interest that’s there.